Truex is locked in a fierce battle with former champions Kyle Busch and Kevin Harvick in his push to defend last year's Cup Series title. 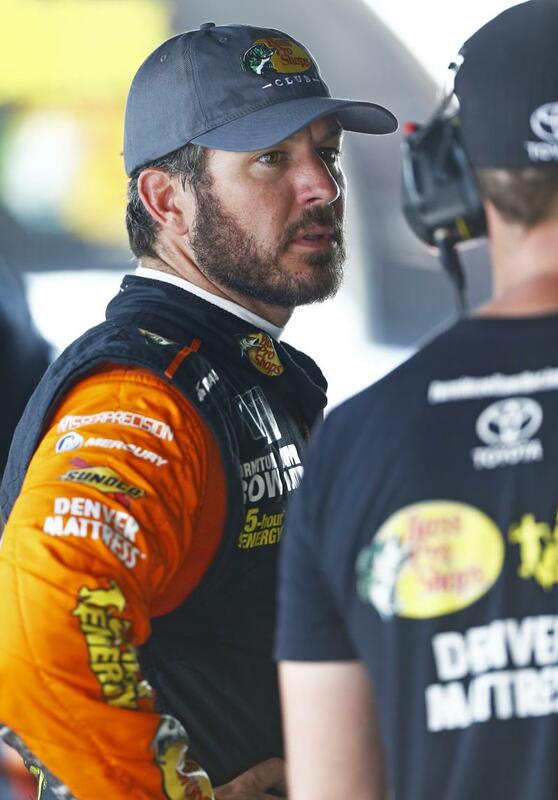 His Furniture Row Racing team is in the mix even though the future of the No. 78 team is in flux. "Right now, we need sponsorship. That's as simple as it gets," Truex said Friday. "Is there a 50 percent chance we get that in the next couple of weeks? Or is there a 100 percent chance? Or is there 2 percent? I don't know. I can tell you that everything really is based upon that." Colorado-based Furniture Row for years was sponsored by team owner Barney Visser, who with Truex was finally able to sell inventory and bring funding to the car. The team had a breakout 2017 season and won the Cup title, but 5-Hour Energy is leaving at the end of the season and Visser doesn't want to return to funding the operation out of pocket. Truex won a career-best eight races last year and his first Cup title. He's got four wins this year and is considered part of the dominant "Big 3" along with Busch and Harvick. Now his name is suddenly mentioned as a potential replacement for Kurt Busch at Stewart-Haas Racing, where he would be Harvick's teammate, or a myriad of other possibilities. He's heard all the rumors, as has his race team, and they are trying to focus on defending their title. "We always feel like that at the end of the day, if we do our jobs and we do them well and we're winning races, that's our best opportunity to keep things going the way they are," Truex said. "The commitments people made to us are through the end of the season and so no matter what happens, this is a professional sport and we need to hold up our end of the deal and the guys all understand that. We're going to fight as hard as we can no matter what next year looks like — fight as hard as we can throughout the season and try to repeat what we did last year."